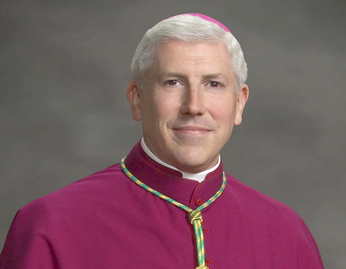 Annunciation Radio is very pleased to present the Bishop's Corner with Most Reverend Daniel E. Thomas, D.D., S.T.L., Bishop of Toledo. Our Bishop welcomes your questions and comments about theology, events in our Diocese, or about the Church in general. Ask Bishop Thomas a question by emailing: bishop@annunciationradio.com, or complete the form below. The Bishop's Corner airs Thursday afternoons at 4:30 pm, with rebroadcasts on Fridays at 11 am, and Saturdays at Noon.